Support breast cancer awareness by giving out the BIC (R) WideBody (R) Design Grip ballpoint pen! 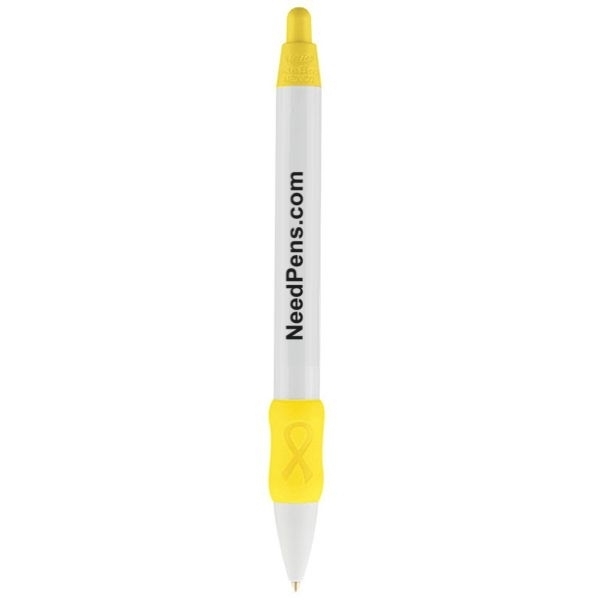 This USA-assembled, retractable white pen features a soft, contoured rubber grip with an awareness ribbon molded grip design. Refillable and always in stock, this giveaway will spread your message everywhere it goes with your silkscreened imprint! 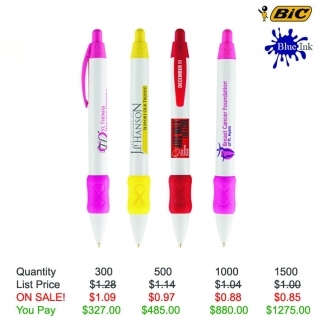 It fits the promotional needs of any project, business or event. Order now and watch your cause grow! 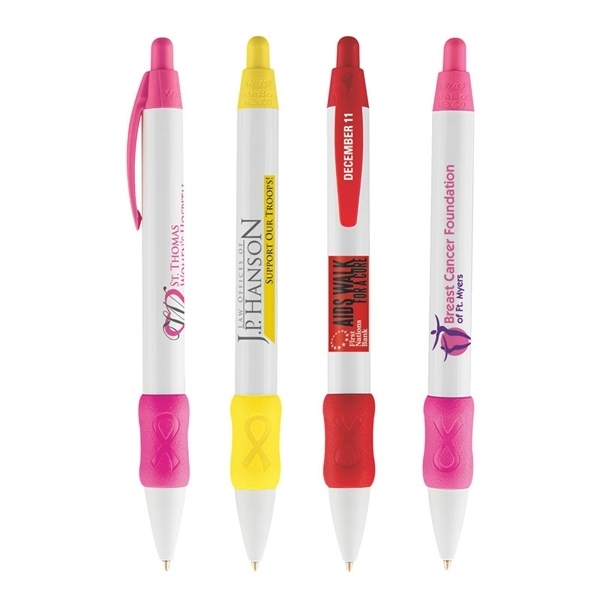 Product Features: A soft contoured rubber grip with an awareness ribbon molded grip design. Free Clip Imprint! Additional Information: Additional Imprint Color or Clip - $0.15 ea - For more information call Customer Care 877-706-1866 Free Clip Imprint!